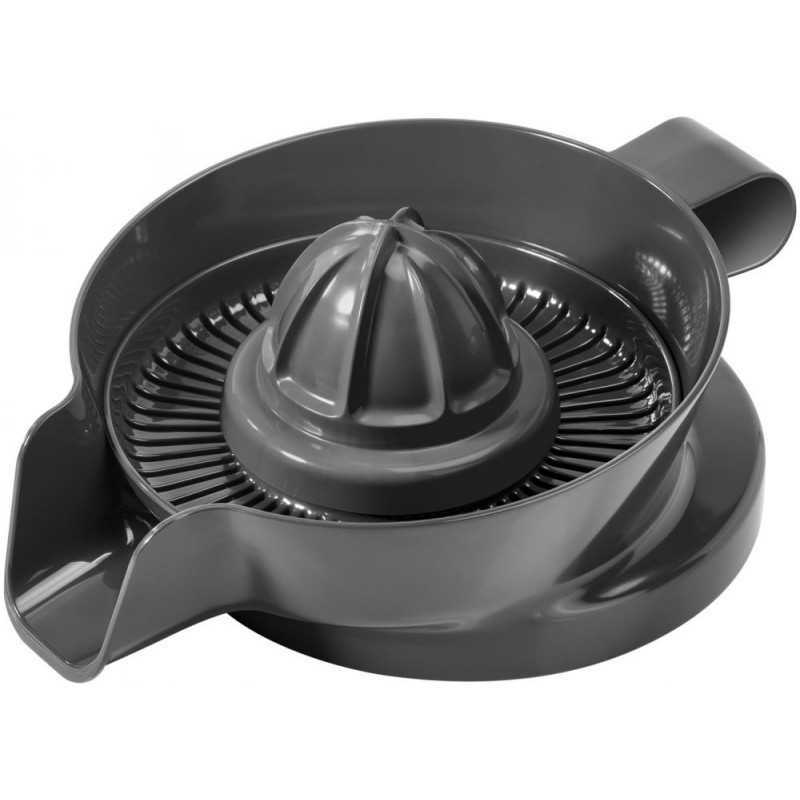 Two different motor outputs: Each motor output provides the optimal working speed and spinning force to the operated bowl. Purple, low speed but strong spinning force for the chopping bowl. 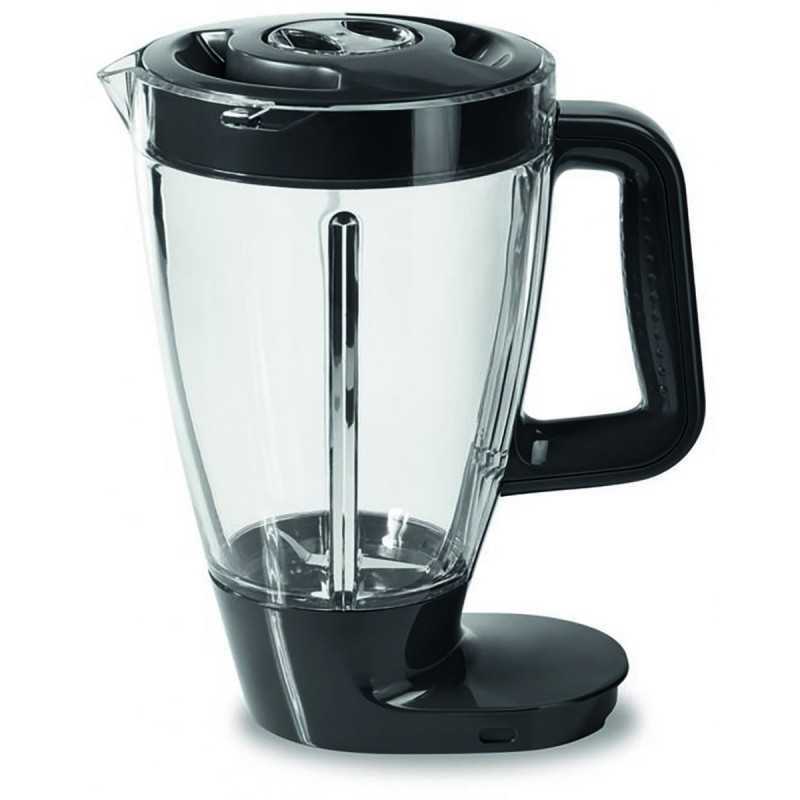 Orange, high speed but less spinning force for the blender bowl. 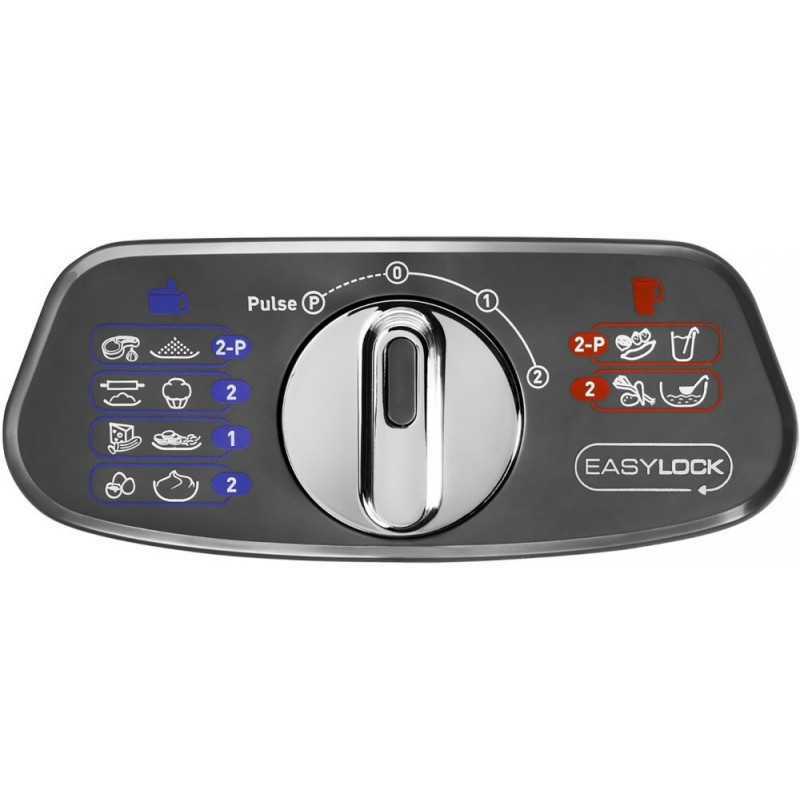 Exclusive Easy Lock system: Locking the lid has never been so easy, wherever you place it on the bowl, just rotate it a few degrees clockwise to properly lock. 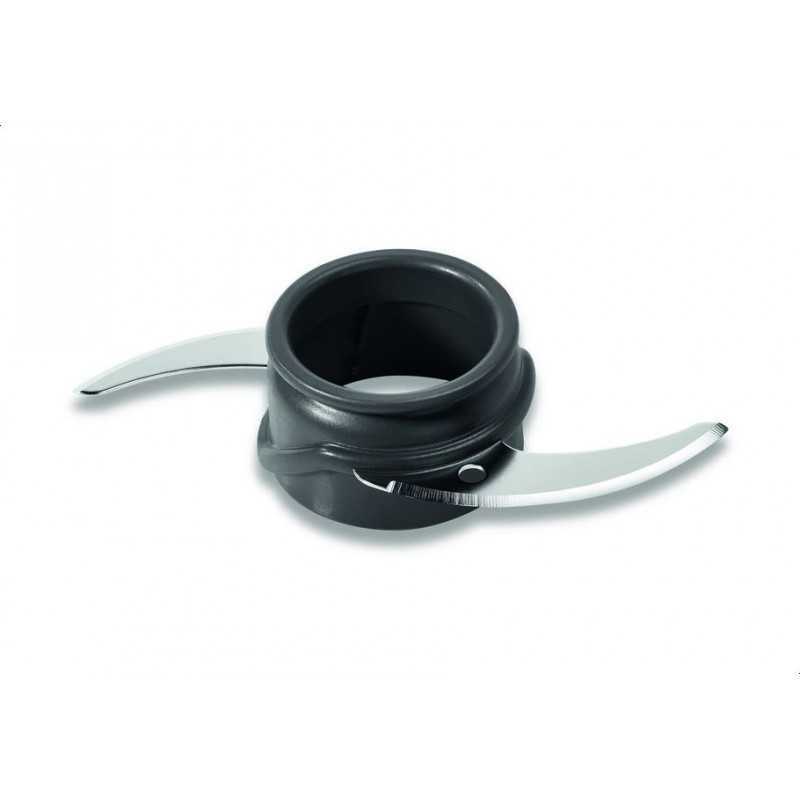 The chopping bowl can also be locked in two positions on the food processor to suit both right-handed and left-handed users. 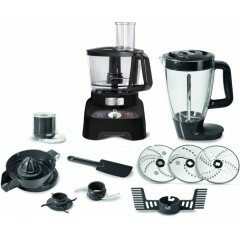 Comprehensive set of attachments: Double Force food processor is equipped with a large range of dedicated and efficient tools, a stainless steel blade to chop and cut all kinds of ingredients; two stainless steel reversible disks for coarse grating slicing and fine grating and slicing of vegetables or cheese; a blender jar to mix delicious soups, juices, smoothies, etc. ; a kneader to prepare any kind of dough from light to heavy; a chopper to finely process onions, garlic, herbs, etc. 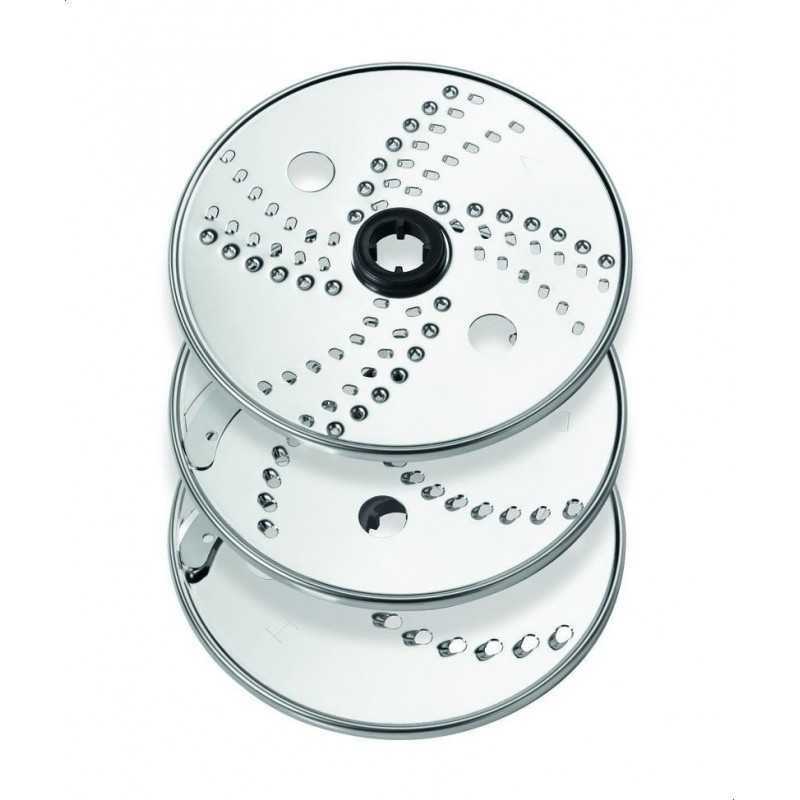 ; a disc to whip cream for desserts and emulsify sauces such as mayonnaise. Powerful and high-capacity food processing: With its 1000 Watt motor, its 3 Liter total-capacity main bowl and its 2 Liter total-capacity blender jar. 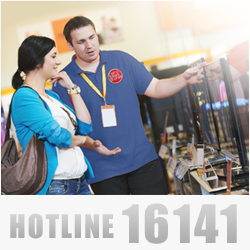 Double Force is able to process all kinds of preparations, from the smallest to the largest. 6 speed options: For each motor output, two different level of speeds and a pulse setting are available through the manual switch so it makes a total of 6 setting options to cater to the various kinds of preparations. High-quality standards: Double Force has been carefully designed to make it not only elegant, with its chromed brand insert but also sturdy. 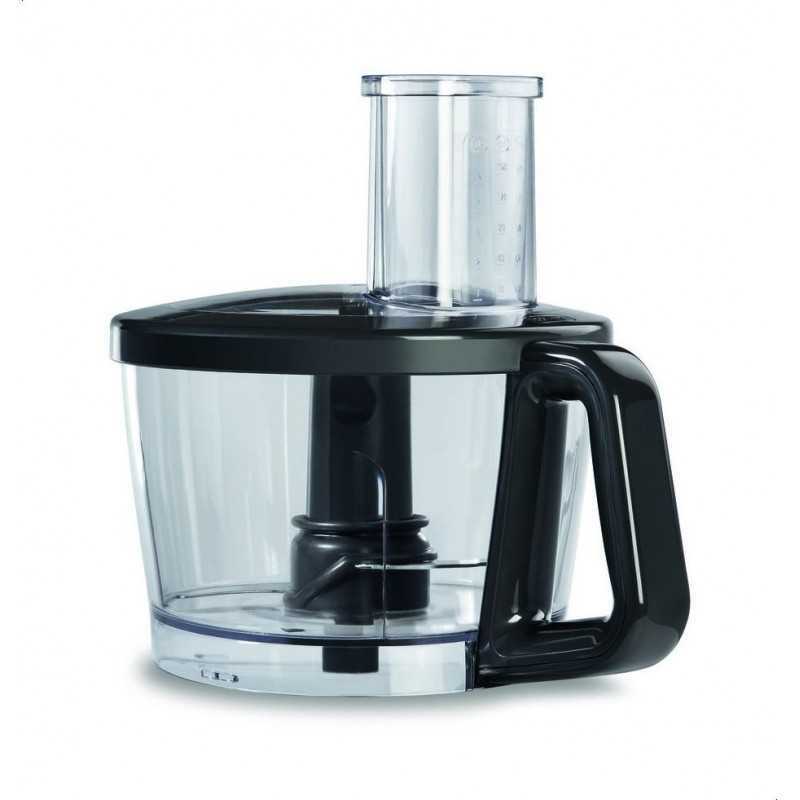 It remains extremely stable on the countertop, even when operating at full power. It also comes with a storage box so that the cutting tools and the kneader fit neatly in the bowl.